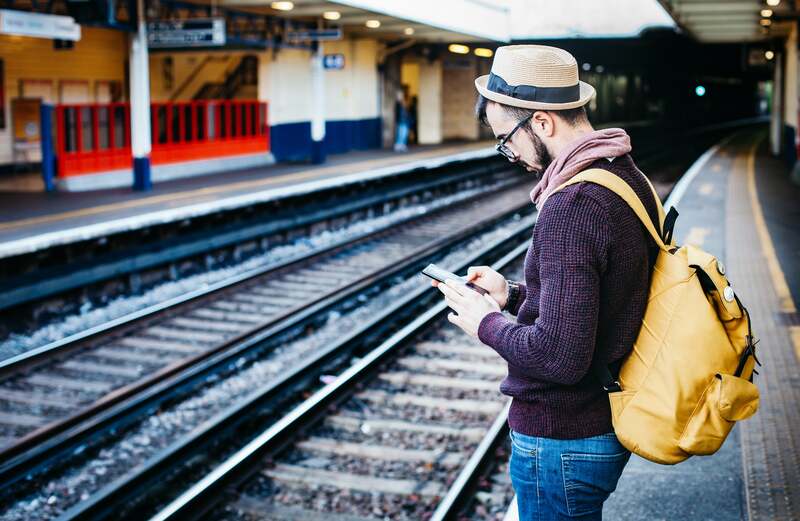 Entrepreneurs often work on the go, whether it’s on the train, in the back of an Uber, or walking from one meeting to the next. Instead of wasting the commute time, there are plenty of productivity tools and methods to make the most out of time away from our desks. The busiest entrepreneurs, in particular, have gotten creative with how they maximize their time with technology. My Microsoft Surface tablet and iPad allow me to stay current and productive on the go. They’re both much more comfortable to use than my smartphone and actually allow me to get stuff done. 4G LTE connectivity ensures I can remain connected no matter where I am, and add-on keyboards allow me to stay even more productive on the go. There are some great mobile assistant apps that can really help you stay productive on the go. Api.ai is one of those apps and can help you keep track of your appointments, remind you of important tasks, and take care of repetitive, mundane tasks such as scheduling appointments on your calendar. When I’m traveling, I spend as little time as possible using technology. And when I do this, I find that it forces both my team and me to only tackle the most pressing issues. Therefore, I end up being hyper productive and simultaneously allowing my team members to step up into bigger decision-making roles. I try not to keep physical documents as much as possible. I take a picture of or scan any note or paper I get and store it in my Google Docs. I also ask my team to store their work there. This way, everything is accessible anytime, anywhere. Whenever there’s a need for me to check on my team’s productivity, I can see what they’re working on in real-time. LogMeIn simplifies how people connect with their colleagues through their devices. I use the tool on my cell phone. It’s able to help me connect to all my office desktops while I travel around and have internet availability. Standard desktop reports with a lot of detail are difficult to access on mobile devices, so our team is constantly innovating algorithms to represent as much of our real-time or daily business performance with the fewest metrics possible. This challenge is fun and has created a deeper understanding of the business. I have a Samsung smartwatch in which I can put the SIM card and make calls. I also get all the notifications and messages on the watch along with my activity tracking. It enables to me to take care of some tasks while I’m away from my phone. I’m going to buy the new model as it has an improved battery and a GPS feature. Soon, smartwatches will replace smartphones and smartphones will become like laptops. Through Whatsapp, we create group chats with team members so everyone can stay informed. Instead of having to type out long emails, we can leave voice memos which I can check when I have time. The combination of group, chat, photo and video message are a powerful way to stay connected without requiring a significant time investment. As a content creator, one of my main tasks is to make sure new content is always going live across various sites. If I know I have to travel or will be away from the computer for a while, I absolutely must schedule content in advance. Not only does this make sure the work gets done, it also relieves any stress I might have to try and get work done while away. Using a Chromecast helps to have a second screen while working in and out of hotel rooms, for instance. Reading spreadsheets or large documents or even working on content can be slow while on a small laptop. But having the ability to “cast” screens that I need makes it easier and faster to get through tasks. Young Entrepreneur Council (YEC) is an invite-only organization comprised of the world's most promising young entrepreneurs. In partnership with Citi, YEC recently launched a free virtual mentorship program that helps millions of entrepreneurs start and grow businesses.